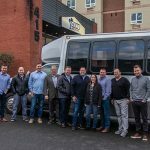 On Friday, April 12, the Cano Real Estate team filled the office parking lot with cars, boarded a shuttle bus, and departed to Seattle. 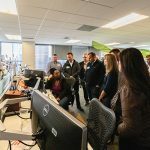 The mission: to meet with Zillow leaders at their corporate office, and experience some Cano team building along the way. Bank of England branch manager Nathan Akers accompanied the team. Arriving in downtown Seattle, the Cano team was greeted curbside by a Zillow senior account representative who led the team to the 30-something floor of the Zillow corporate offices and a breathtaking view of Puget Sound, CenturyLink Field, the Seattle Great Wheel, and everything else for miles around. 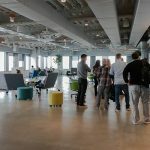 On the multi-floor tour of the corporate offices, the Cano team was able to speak with managers and representatives from several departments within Zillow, including the New Construction Team, Connections Specialists, and Regional Team Leads who work with top agents around the country. 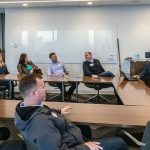 Impressed by comfortable and employee-friendly workspaces, countless rows of phones and computers in multiple customer service phone centers, plus game, music, and relaxation rooms, the Cano team was then invited into a conference room for a private meeting with Zillow leaders. 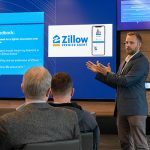 The Cano team heard first-hand the thought processes and years of planning that went into Zillow’s recent rebrand, along with Zillow’s affirmed vision of seamlessly connecting prospective home buyers with the best agents. Nathan Cano and his team are proud to be in that camp and have worked hard for years to get there. Team members saw great benefit in getting that exclusive masterminding time with Zillow leadership. 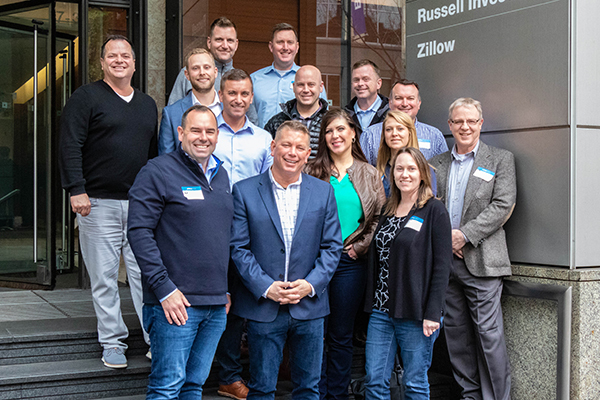 Each person left with additional insight and goals for nurturing the Zillow partnership in an effort to further improve the experience that buyers and sellers will have while working with the Cano team. The team enjoyed hearing about the vision of Giving Tech Labs. After lunch and bit more casual time with Zillow representatives, the Cano team was able to visit Giving Tech Labs, a company with a mission to build technologies and sustainable business models to address social issues. 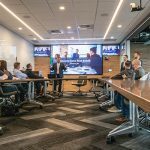 Co-founder and CEO Luis J. Salazar gave a presentation about the vision, mission, and ikigai, along with an overview of the company’s recent work. 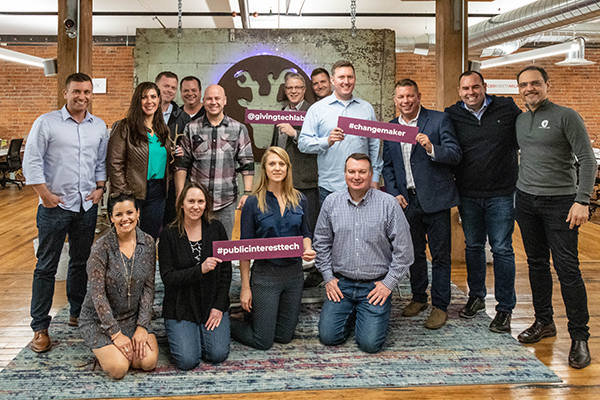 It was an honor for the team at Cano Real Estate to have time with high-level tech professionals who are using their talents, skills, and connections for a noble calling. The Cano Real Estate team getting ready to board the shuttle bus to Seattle. Lobby inside Zillow Corporate Office. 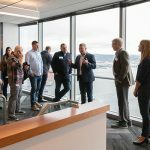 Zillow Representative Bobby Cyr gives Cano Real Estate a tour of the office with a stop to enjoy the view of Pudget Sound. Engrossing dialogue with a Zillow customer service agent. Zillow leadership presenting to the Cano Real Estate team. Senior Manager Alex Stanford presents the latest information about Zillow Premier Agent partnership. General Manager Zach Doan discusses the Zillow vision of seamlessly connecting prospective home buyers with the best agents. Engaging and informative Q & A session. Open, comfortable areas on one of several floors of the Zillow Corporate office. 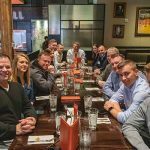 Quick team lunch at Hard Rock Cafe. 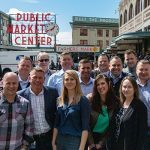 Cano Real Estate Team at Pike Place Market. 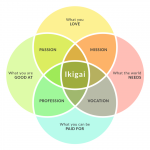 Forbes.com – Find your Ikigai. BodeTree, Adapted From Francesc Miralles. Working with Guy at at Cano was awesome. He was extremely knowledgeable and helped us get into our house. He explained how everything worked and had no problems answering all of our questions. Thank you all!! We were very pleased with our home buying experience with Kelly Winn of Cano Real Estate. He helped us get the house we really wanted, even though it had been pulled off the market! He’s super knowledgeable and helpful – a huge plus since we were from out-of-state. I’d definitely recommend Kelly to anyone looking to buy a home in the Vancouver-Camas area. Nathan Cano is a great local resource for anyone looking to sell or purchase a home in the Clark County area. He helped me to sell my home in less than one week and found us the perfect lot to build our dream home on, at the right price. I’d highly recommend Nathan’s services.